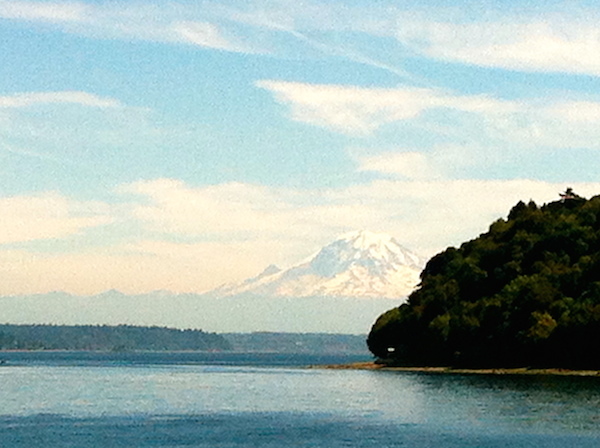 Hood Canal—The Greatest Show On Earth. Picking my way along a beachhead of oysters, the water beckoned. You can’t walk this Washington beach at Hood Canal barefoot unless you want your feet cut to ribbons. Water shoes were my salvation. It was 86 degrees, not a cloud in the sky, and with barely a breeze the air felt like a furnace, and I was pretty crispy. Just as I was about to step in a shiny head popped up out of the water. Visiting family can be a wild experience—the best of the best or the worst of the worst. When it’s good, it’s golden and if you’re blessed to have siblings who live in interesting places, spending time with them is a double incentive. I’d be in Bellevue with my sister and her husband. It’s the suburb Microsoft calls home and a stone’s throw, or two, from Seattle depending on traffic. Seattle is the big draw for many travelers who visit Washington, and rightly so, but I was here on a backyard vacation. I appreciate the delights of the Emerald City but visiting family doesn’t always give you access to your own personal itinerary and that’s okay by me. With the lack of humidity in the summer, there is no finer place to be in this rainy part of the state when the sun takes its hat off. Our ultimate destination was Hood Canal, a hamlet in Union, Washington. Located two hours west of Seattle, Hood Canal is one of the state’s jewels and a retreat into one of nature’s most pristine shorelines. It’s a natural saltwater fjord that splits the Kitsap and Olympic peninsula and where locals go to chill out and wish they didn’t have to make the trip back to the daily grind. You can easily drive to this stretch of paradise but parking your wheels on one of the Washington State Ferries is a nicer way to break up the trip, decompressing you into vacation mode a lot faster. On a clear day, one of the biggest treats is feasting your eyes on the soft-serve vanilla ice cream cone perfection of Mount Rainier. 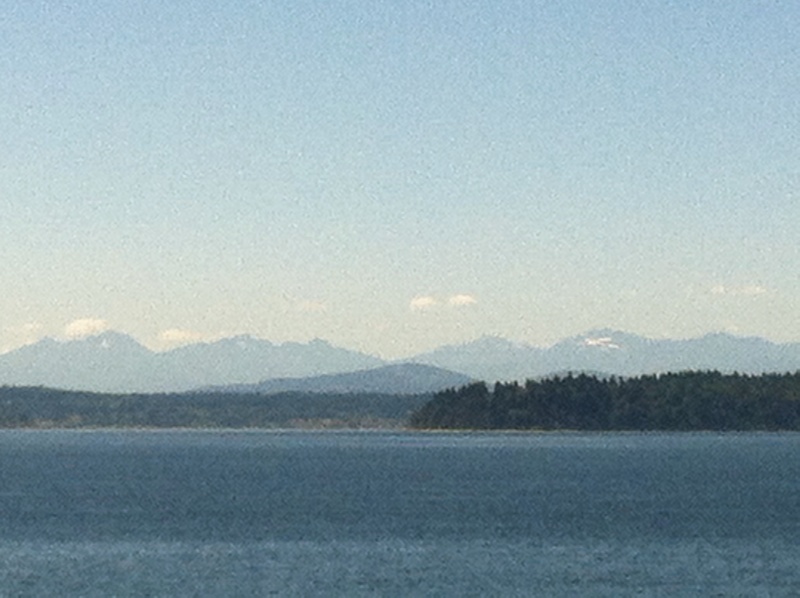 “Relax, you’re at the cabin” reads the welcome mat and I do, immediately melting into Hood Canal’s south side. East and west ends of this shoreline are chock-a-block with an architectural assortment of seaside residences. Some breathtaking, some kitschy, some over the top, but all lucky because of the knock-your-socks-off view of the majestic Olympic Mountains. Behind these homes, it’s pretty much all forest. 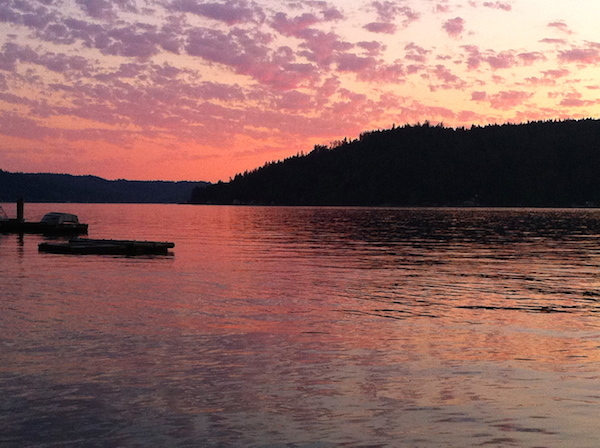 Hood Canal is a quiet haven and for old-timers and newcomers that is one of its draws. It’s a simple times kind of place to sit and behold nature day or night. 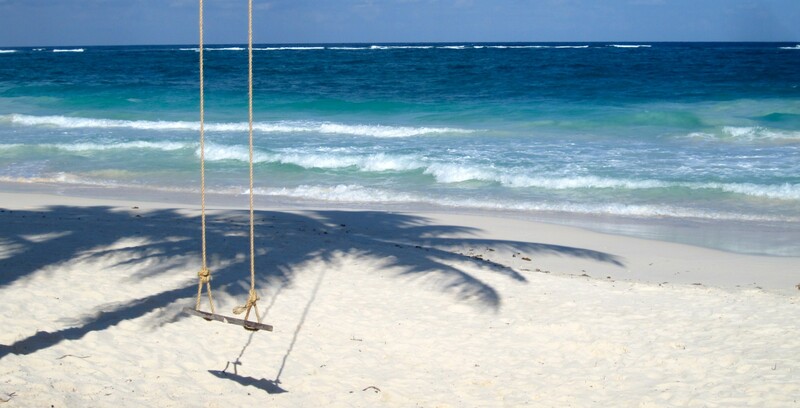 Sure, you’ll hear a speedboat or the peal of laughter from a water-skier ring across the water but for the most part it’s the silence and serenity that becomes its most obvious gift. Spring, summer, fall or winter, if you appreciate the great outdoors and are looking to disconnect, it’s a pearl of a place. Douglas fir, cedar and redwood trees loom high above this little cabin like sentinel giants. The cool air they provide carries their woodsy perfume and the canopy of these shady guards seems to double as a concert hall for all manner of birds. In the twilight a large, winged, dark shadow passed above my head like a death starship. It was kind of eerie but then wings pulled in and long graceful legs descended to alight on a nearby dock. 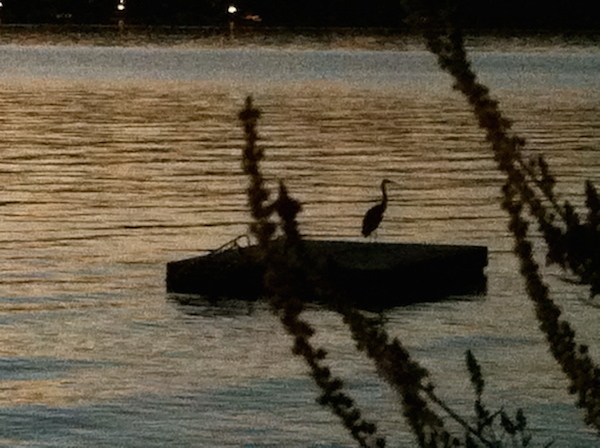 It was a great blue heron, coming in for last call on sunset happy hour. A moment later its partner stationed itself on an adjacent dock. Seeing them again the following evening as they made their way towards their nest was another sight to behold as these large seabirds folded themselves towards branches, navigating them like tightrope walkers. Sibling kingfishers dove out of a tall maple tree, skimming the canal for a fresh evening meal and providing additional entertainment. Speaking of food, locals are used to fishing it right out of Hood Canal or off its beach. Crabbing, clamming, trout, salmon—it’s all there. And then there are Hood Canal oysters. These sweet bivalves have made their way from this once sleepy hamlet all the way to New York City menus. No matter the season, the local town of Belfair has pretty much anything you need to get your provisions, hunker down, and escape mankind. Our car was locked and loaded with food from home. More importantly, we’d bought lots of peaches for pie. Silence may be golden but it doesn’t get much better than sitting on a deck in summer enjoying homemade peach pie. With its small town vibe, nearby Shelton seems like the town that time forgot. Located southwest of Hood Canal, it’s a lazy pace place but with a downtown area that has lots of cool and quirky shops, bars and restaurants. Vintage stores and second-hand shops draw locals and tourists and a good starting place for anyone who likes this kind of treasure hunting is Garage Sale Maniacs. It’s the kind of place that has something for everyone, with its top quality furniture and furnishings, books, jewelry, vintage photos, as well as all the bric-a-brac that goes with a second-hand shop. If you’re not into buying someone else’s stuff, contemporary design and home furnishing shops are happy to take your disposable income and you’ll be lucky if you can get out of Lynch Creek Florist without busting your wallet open because they don’t just do flowers. Let’s put it this way—if I owned a cabin on Hood Canal, this home decor and gift shop on W. Railroad Avenue would be my go to and I’d be in big trouble. 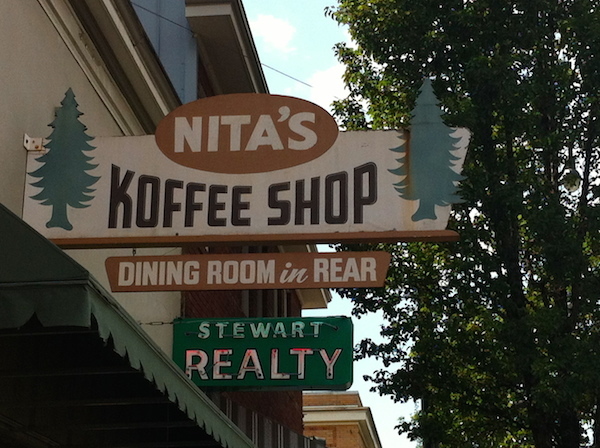 Just a few steps away, Nita’s Coffee Shop, in business since 1962, drew me like steel to a magnet. Spotting an authentic diner is like recognizing a first crush. It’s a good way to meet the locals and any place that has homemade pie on the menu gets a star in my book. Spending the day in Shelton is a perfect way to extend your feel of the area and revisit the type of town that is disappearing in this country. At one time Hood Canal was a best-kept secret but no more. Over the years it’s welcomed a new demographic of visitors. 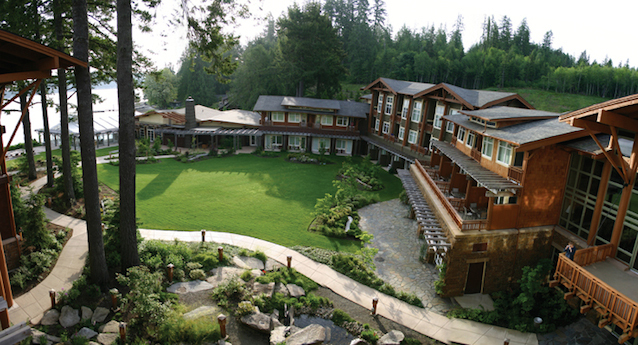 In 2004 the redesigned Alderbrook Resort & Spa had the light shining brighter on this neck of the Great Northwest. Since then, the hotel has been racking up awards for its accommodations and four-star spa. In business since 1913, Alderbrook has served as a getaway for vacationing Washington families. It changed hands over the decades and the major facelift it got in 2001 dovetails with Hood Canal’s natural environment. Today’s design is simple and welcoming with a 30-foot stone and wood fireplace as the lobby’s centerpiece. Huge windows look out on the canal and the resort’s garden. With a mix of hotel rooms and cottages, Alderbrook’s friendly room rates are one of its most welcoming features and the 18-hole PGA golf course is a draw for locals and visitors. Alderbrook Resort & Spa provides a nice welcome for visitors and locals. Destination weddings are popular at Alderbrook but the vibe is so local that other guests don’t seem to mind the ceremony as they slurp down local shellfish and sip a chilly glass of Pinot Gris from the state’s Columbia Valley or a Spice of Life Bloody Mary served with a signature crab claw. Kayakers glide by and a red-sailed boat moves towards a sunset sail. It’s local meets luxury and it’s all very chill. The hotel’s location in Union is prime for hiking, fishing, or boating but I was happy to just enjoy the scenery. It was only three miles west from where I was holed up but the view from Alderbrook took on an entirely different color. Situated on a wider point of the canal, my eyes absorbed more and the mountain range was cast in a watercolor palette of pale to indigo blue. A bald eagle in flight only enhanced the picture, as if someone said: “Cue the bird.” I couldn’t get enough of this wild stuff. Sunsets seem to go on forever here and as a crescent moon rose, the sky and water was cast in an amethyst hue that set the Olympic Mountains aglow. No acid required. Mornings are an entirely different experience and it’s not unusual to wake to cloud cover. This summer has been golden for the Great Northwest and the sunrise lit up the Olympic Mountain range, Hood Canal’s west side view, clear as glass. Its spiny ridge is set in profile of a sleeping George Washington. A faint, wispy trail of snow formed the lining of his breast pocket. Playful swallows dipped and darted, skimming the water at a frenetic pace. Focusing solely on them I could almost feel their aerodynamic power. Bumblebees get busy on deck flowers of hot pink-fringed gladioli, ballerina pink Japanese anemone, and orange flame crocosmia, disappearing into petals like women into a fitting room. 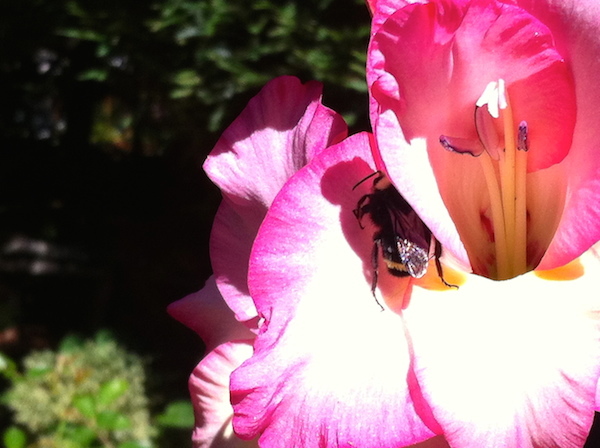 They finally reappear, their theft of pollen hidden wherever bees stash that precious gold. Bobbing in the water, I watched the seal watching me. I figured by now this was flirtation so “it” became “he.” I don’t get this at Coney Island and I was as transfixed by his otherness as he seemed to be by mine. But my perfect moment was shattered when a barking Jack Russell came charging down to the water raising hell. In a flash, my Romeo slipped into the sea and his little torpedo body vanished. That night as twilight set, the water was cast in ripples of indigo blue. I asked my brother-in-law if he ever saw seals at this time of the evening. Not really, he said. A moment later we heard a splash and out popped Romeo. He’d go under in a big dip, smack his tail against the water sending up a plume of water that echoed across the canal. His splashing went on for hours and I was content to contemplate this creature, staying on that deck squinting for him as the light faded, listening to his act until the inkiness of the water blended with the rest of nature. The darkness came and then the stillness. I couldn’t see anything anymore but it was still the greatest show on earth. This article originally appeared in Communities Digital News. This entry was posted in Claudia's Trips, Uncategorized and tagged Alderbrook Resort & Spa, Bellevue, Garage Sale Maniacs, great blue heron, Hood Canal, Kitsap, Lynch Creek Florist, nature, Nita's Coffee Shop, Olympic Peninsula, road trip, seals, Seattle, Shelton, Union, Washington, Washington State Ferries on September 11, 2014 by portsarecalling.